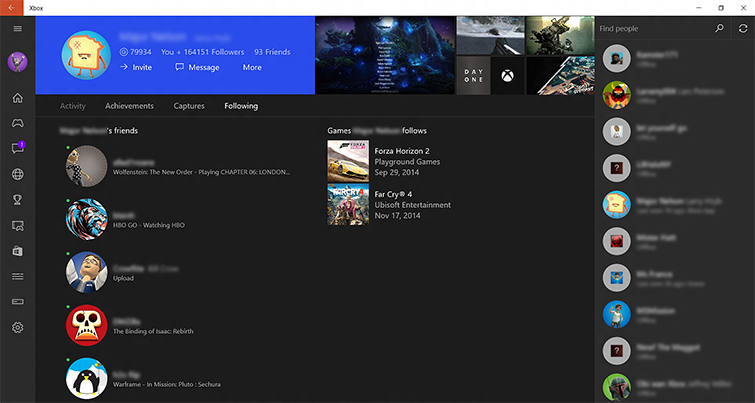 Learn to build and manage your friends list using the Xbox app. Friends are people you want to get activity feed updates about and to interact with through party chat and messaging. By adding a gamer as a friend, you become their follower until they add you as a friend also. Followers are people who want to get activity feed updates about you. They chose to add you as a friend. However, they’ll show up on your list as followers until you add them as friends also. Then, their status will change from follower to friend on your list. Favorites is a designation that helps you find the people you play with the most (because you can have up to 1,000 friends). One of the best features of Xbox Live is the ability to find friends for an online game. As you build your list of friends by sending and accepting friend requests, you'll see the same list no matter which game you play. You can have up to 1,000 friends. Having people on your friends list allows you to quickly find friends online and get set for your next gaming adventure. 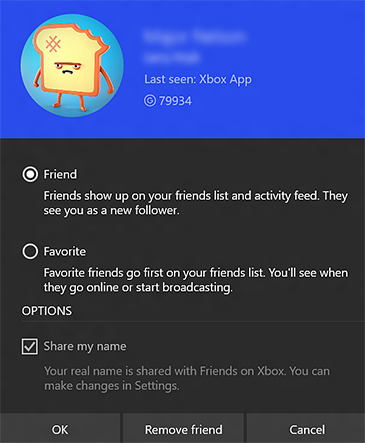 If you search for the gamertag of a player who’s currently not your friend, your friends list will display the message "No matching friends. Select the Search button to search all of Xbox." Select Find people or clubs next to the Search icon. Enter the friend's gamertag. If the search finds a player with that gamertag, it displays that player's profile. Select +Add Friend to follow that player. This player will immediately show up on your friends list, but to them, you will only show up as a follower until they also add you as a friend. Select one of your friends from your friends list. That friend's profile will be displayed. Select the Following tab to show your friend's list of Friends, Followers, and Favorites. Select the friend from their list that you want to add. That player's profile will be displayed. Select +Add Friend to follow that player. That person will immediately show up on your friends list, but you will only show up as a follower to them until they also add you as a friend. On the top of your friends list, you will see a short list of suggested friends. These are people you know, played with recently, or who recently started following you. This also will include some of the top community contributors on Twitch. 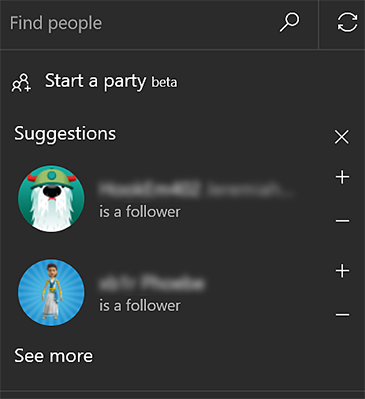 This list is designed so that you can quickly add any of the suggested players as a friend or remove them from your Suggestions list. Select X to hide the suggestions. 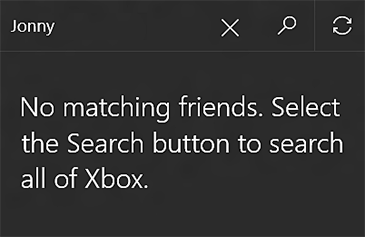 Select + (plus) to add a gamer to your friends list. Select – (minus) to indicate you are Not interested. Select See more to show more suggestions. Select your friend from your friends list. This displays their profile. Select More and then select Change friendship. Choose whether you want this gamer as a friend or a favorite. You can also change if they can see your real name, or you can remove that gamer from your friends list completely. Note When you remove a friend from your friends list, you’re not removed from their friends list by default. If you don't want that player to see your activities or interact with you, you can block that player. 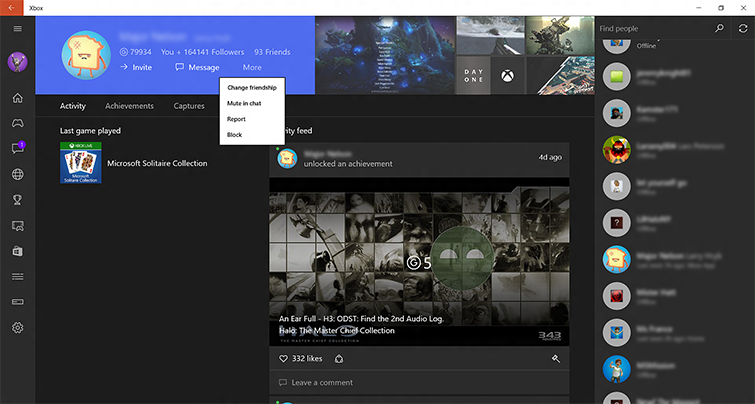 Would you like to contact Support regarding the "How to manage Friends, Followers, and Favorites in the Xbox app" issue you were reading about or a different issue?